HATHOR, another Romanian metal band becoming a veteran on the stage, it’s preparing for a new release. 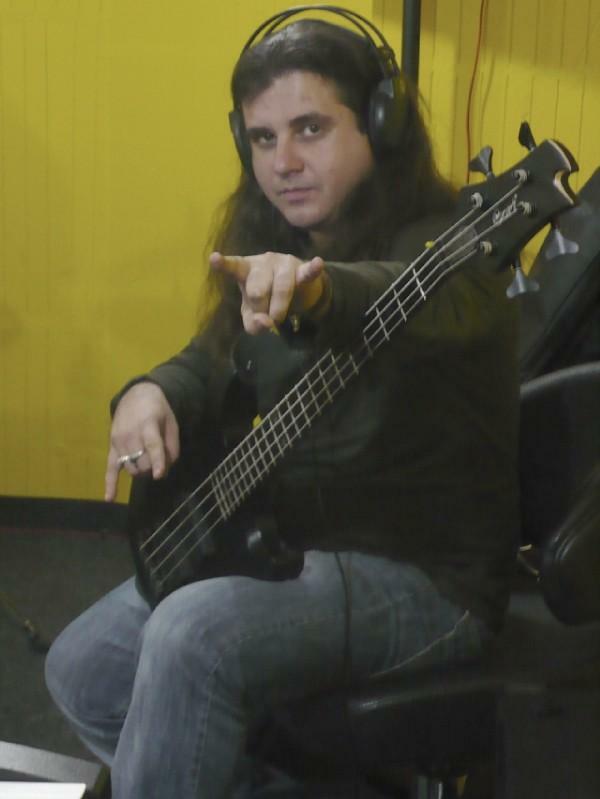 We had a chat with Marius "Nazgul” (bass/backing vocals) and we found out how’s Hathor doing lately. Let’s start with the beginning. How did you come up with the name? Is there any connection with the mythological character, Hathor? I’m not sure, maybe it was back in 1995. We liked the name of the character and that it was connected to music among other tricks. There were several line-ups in time. What is the current line-up of Hathor? Yes, we have always had a hard time with the band members, because time flies, people change and love for music vanishes for some of them. I am the only one left from the early 1995 line-up and my brother Adrian joined me in 1997. Funny thing is that back in 1995 Adrian was the one the band actually in the band but he left after a few rehearsals and that was how I got in the picture. That was the moment when we decided on the name and the approach. At the time, we were mixing something between Pantera and Sepultura. 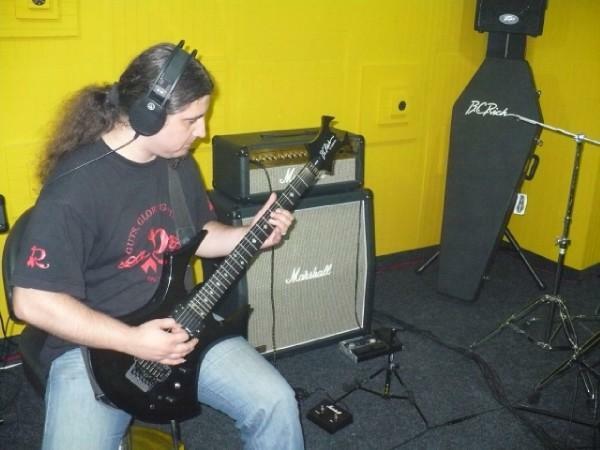 We only managed to release a few demos not worth mentioning, and finally after changes and changes, in 2009 we are in complete line-up in one of the most professional studios in Romania – Pericol Records in Galati. I actually gave up the main vocals as we wanted to change a bit the approach and as we wanted the band to sound like 2009 not 1998. Thus, the current line-up is: Marius "Nazgul”- bass/ backing vocals, Adrian ”B.C.Rich”- guitars, Georgiana "Gigi”- keyborard, Andrei ”Chelu”- vocals, Sebi ”Rigodon” – drums. What are the bands you enjoyed most playing along the years? And those you want to play with? What kind of gear do you use? Was it a lot of investment? And that’s about it. I wanna buy 2 more basses, because I am kind of behind on that. In terms of Amps we use Marshall and Warwick modest ones. Do you think gear is important for a band’s evolution? It all starts with the guitars. If you got talent and skill, but no guitar, it’s not worth it. It’s not suc big deal to buy a regular guitar for starters, because it’s not the ‘90s anymore, when all we could find in Romania were just a few good guitars. Nowadays, one can choose from a large variety for a reasonable price: 200-250 Eur for some nice job. It’s essential and it all starts with this sound, as the audience expects quality and expressiveness. In your opinion, what’s the song that actually defines Hathor’s essence? I guess each period in our band’s life so far had a defining song and we always played the songs we considered good, with not so many cover versions. For those who would want to see you live this fall – what chances do they have? Any gigs planned? We think it’s best to take care of the new album and less of the live appearances for now. Maybe, who knows, there will be a promotional show in Galati this fall, but we’d rather not play but after we make sure the album is finished and we have found a label for this material. Let’s talk a bit about the new album. 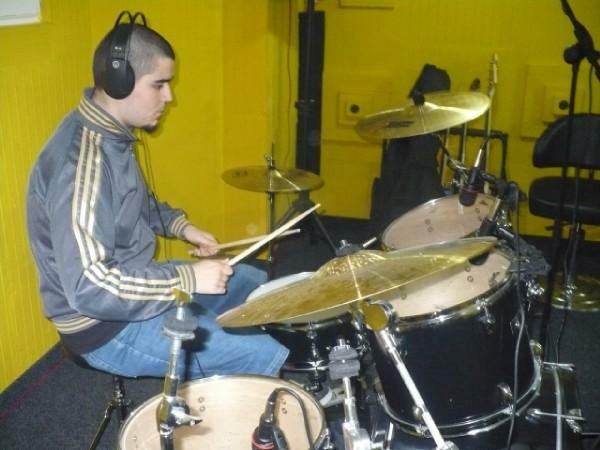 You mentioned the recordings were made in Pericol Studio. Why did you choose it? 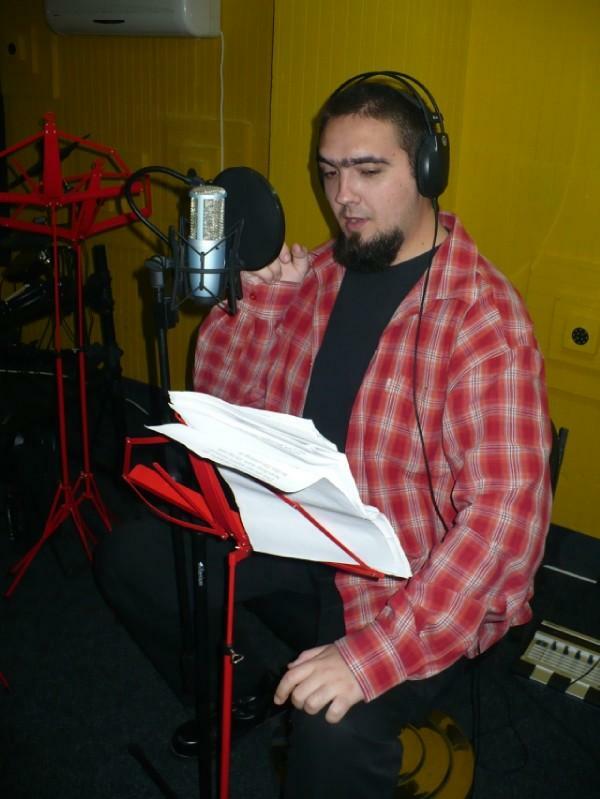 There are several reasons for our choice: it’s in Galati and that helps us a lot with our budget; Cristian Doicu – "father” of Pericol Studio is a wonderful TV and radio guy, player and composer, an old rocker who played in several bands – so there are many assets for this. It’s very important when you are on the same page with someone and when he/she knows what you want. It’s basically a professional studio and we had a lot to learn from Cristi. In his studio bands don’t have an "early Balkan” sound, on the contrary, we are very pleased and I strongly recommend it: www.pericolstudio.haos.ro. What’s the name of the new album and how did you select the songs? I believe it’s actually the first time we didn’t think about it… Hahaha. We had some talks over the name, but who knows, if we decide on, we’ll let you know. I am actually sorry that because of the many changes of line-up, we threw away several materials, but that’s it, life goes on. Have you already had songs for the new album or are they just following a totally new philosophy? It was very easy to compose new songs with Adrian rather than teaching him the old songs. Maybe one day we will release some bonus tracks from our "best of 1996-2007”. What’s the message of the new material? It’s the message of war, pain and revenge of the Middle Earth. Slowly, we will separate from the Lord of the Rings theme, but the lyrics will remain filled with "glory and honour”. When is the official release foreseen? As soon as we have sent the materials to some targeted labels. And we will decide on the label upon the most convenient offer. Unfortunately, "Dacian Wolves” Label is on standby, they are not producing anyone for the moment, but we are still in good terms. Are you going to sell the material abroad? We intend to find a label from abroad, but the main condition is to distribute materials in Romania as well, because we are Romanians and want everyone to have access to this album. Are you planning any video for the new album? A professional video means a lot of money. We intend to do one, we have discussed about this and we hope to make it real at some point. Moving on the vision area, in your opinion, is there any Romanian band what could create a national brand we could be proud of? Negura Bunget it the only Romanian band that became a brand and I was very proud to see them at Graspop 2009, even if the famous members left the band for reasons I’m not gonna comment. There is also Altar and Truda – very cool bands, but only Romanians can understand their message, so they can become only a national brand for insiders. What do you think of the lack of cohesion among the metal bands in Romania? Do you think there’s any chance to change that? It’s an extended phenomenon and it’s not the hate between bands. The only rational explanation is that fans are not coming to shows anymore, and when you have only 35-40 people paying for the ticket, there is no chance to cover the costs for the bans. And that’s a pity! Why do you think that Romanian metal bands can hardly be promoted abroad? What do they need? It’s about the distance and additional costs. If I had lived in Belgium I could have played in the Netherlands, France, UK, Germany, Austria – they are close. But to get the whole gear from here, it’s a nightmare! It’s like throwing money out the window and there’s a chance that you get 10-15 people to see you. Only a strong label can take a band out of its misery and promote it to important festivals instead of clubs. Any Romanian band would want a contract with some major label, but as long as you have little money for recordings and you release one album after several years of hard work, it’s really difficult. It’s about the quality of life, you know – 2,000 Eur in Romania has a different value than in Norway. What do you think about organizing metal shows in Romania? It needs improvement? Less fans, less shows. The only option is that bands get their own gear and tour around the country and perform live. It’s easier. This is what I do in Abyss, a small location in Galati, but along with great people, and all the money we make goes to the bands. We add some more drinks on the house and the gear from our rehearsal room. It’s not easy but we are doing our best to move things around a little. Many thanks for our chat and I hope we’ll see each other again over a barrel of beer or wine or hahaha… whatever.